Standard wallet leather by Dominique Saint Paul. 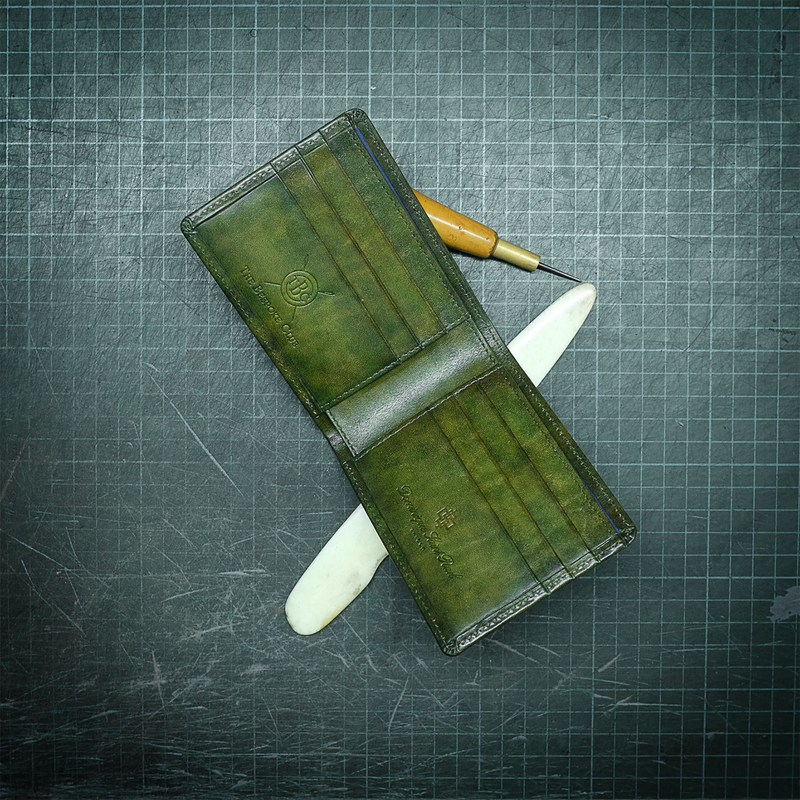 Pictured here is our standard wallet leather, hand coloured with patina in dark green. We have many styles of wallet: standard wallet, mini wallet, evening wallets and some variations including our accordion wallet, passport holder wallet and travel wallet. With all our wallets you can choose from a wide variety of colours which are ready made. You may also request a special colour to be made – this is no extra cost. We offer and embossing service for all your leather goods – so that your initials may be stamped on the piece.